Thanos, however was quite different. I’ll say why ahead, but if you haven’t watched the film yet what follows may spoil some of the film for you. I’m also going by memory (and Google), so bear with me if I make storyline errors. Thanos has been present in some manner in many of the prior films, appearing either in end-credit scenes or in cameos. We know from all that history that he is bent on obtaining the Infinity Stones, which are the physical representations of Time, Space, Power, Reality, Soul and Mind. Controlling these stones means controlling the universe at a fundamental level. Marvel has played with religious themes and ideas before, most notably in Age of Ultron. As I watched Thanos’ character evolve I found more and more that he bore an uncanny resemblance to a presentation of God that has been criticised by atheists as well as some Christians: the “moral monster” God. At a key moment in the film, Thanos even experiences genuine loss and grief. 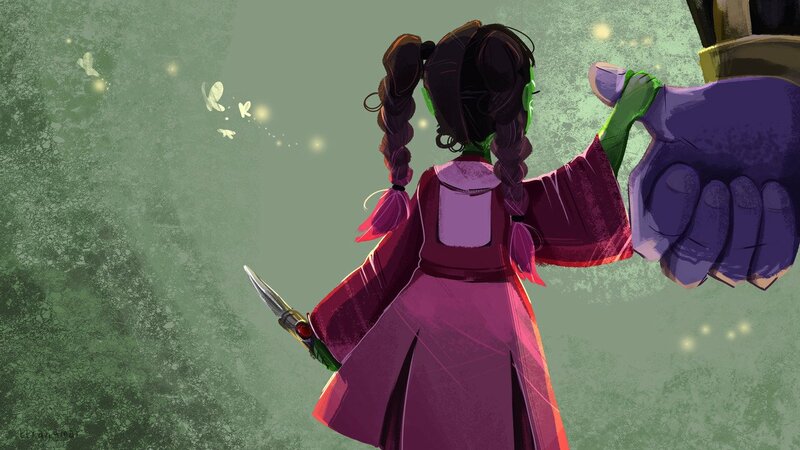 When confronted by the necessity to give up the thing he loves most to get the stone, Gamora taunts him triumphantly, saying that he has lost because he loves nothing. Thanos then, with actual CGI tears, sacrifices Gamora. 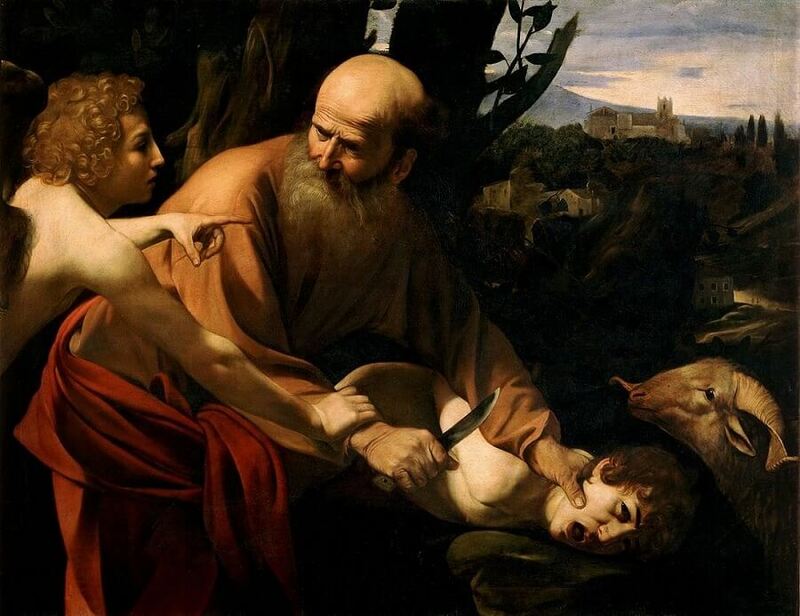 It borrows from the binding of Isaac, save for the happy ending, as well as from the idea that God was willing to empty his wrath on His own Son, which as Thanos stated earlier in the movie is the price one must pay for salvation. All through the film, Thanos and his heralds the Black Order (who are much more stereotypically evil than Thanos) proclaim that the universe should welcome and be thankful for his intervention. He tells Dr Strange that once his plans are accomplished he intends to “…finally rest, and watch the sunrise on a grateful universe.” The reason they aren’t is because they lack his vision, his insight, his power, and most importantly his judgment. He wounds because he loves. Here is where I found the greatest parallel between Thanos and the “moral monster” image of God. If we say God is good, that seems irreconcilable with passages such as those previously stated that seem to make God’s actions evil or wrong. The solutions to this paradox have been that either God is above our understanding of right and wrong (ultimately Calvin’s argument), that those actions are really the work of men and not God in spite of the text (a more Arminian viewpoint), or that God is not good (the atheist argument). Interesting enough, a gaping problem with Thanos’ character in the film is also a problem raised by some towards God: if Thanos has the power to bend and shape reality, why doesn’t he just make more stuff for people to live on? Thanos, just like God, could easily solve the problem of evil, or at least solve it in a way that doesn’t require the deaths of countless multitudes. So why don’t they? Thus endeth the lesson apparently. The film ends with humanity reeling, trying to understand why people are turning to ash before their eyes. The Avengers as well are devastated, as major characters turn to dust as gasps fill the auditorium. Thanos sits in a renewed world, saddened at first by his loss, but then overcome by an apparent sense of peace. All is as it should be. Many questions are left unanswered, purposefully so. And so it is with our understanding of God. To be clear, I do not believe God to be a moral monster. I believe that God is good, and that yes God’s wisdom and justice is far beyond our understanding. Yet at the same time, I believe that our concept of “good” and God’s concept of “good” cannot be that far off from each other. To call God “good” has to mean something. If to God is completely beyond our notions of good and evil, I don’t think God can be good. The question of how a good God can permit evil has perplexed us for centuries, and will still perplex us I believe until we arrive in the Kingdom of God. I hope that when that happens we will somehow be grateful. § The question “is the God of the Bible a ‘moral monster'” is a great one but is far too broad for this day. For a great introduction to both sides of the question listen to this excellent discussion between Paul Copan and Greg Boyd. What did you think of the rapture / “Left Behind” imagery, especially in the post-credit scene? My biggest struggle with these thematic elements – how much do they reflect what people already think about theology, and how much do they inform what people think about theology? Do they encourage us to look for better alternatives to Thanos, or do they leave us thinking we are the better/only alternative? I expected Kirk Cameron to be in the shot somehow. I kinda laughed because it was so obvious. It is a very interesting connection in terms of imagery, and then to contrast that the folks that are “raptured” are dead rather than saved. I don’t know if people challenge their theology that much. I wish more people did. If Infinity War can get people to challenge their notions of God I think that’s a great thing. But if you draw a parallel between Thanos and God as “moral monster” in order to challenge that view of God, many will just say that Thanos is bad and God is good and the conversation ends there. Many Christians I find feel that questioning God’s justice and goodness – God’s action or inaction in the face of evil – is a hair shy of heresy. I think in America especially it has become more and more difficult to have your assumptions and ideas challenged in a constructive way. Challenges to held ideas are often dismissed based on the political/theological background of the challenger, not on the merits of the idea.